Is there a contract involved?Robert Diaz2017-12-27T18:57:40-04:00Yes, we are essentially becoming your digital marketing arm, in order for us to be able to offer you this all-inclusive program jammed packed with premium services, there is a minimum commitment of 24 months. Do I have to worry about website maintenance (domains, hosting, etc.)? Do I have to worry about website maintenance (domains, hosting, etc. )?Robert Diaz2015-07-01T15:02:45-04:00Xtreme Websites offers All-in-One solutions so you don’t have to worry about pesky but important details as maintaining your domains, emails, hosting space, database optimization, managing firewall settings and more. We believe you should focus on what you do best… running your business, and leave the online technical aspect of your business to the pros. What happens after my website is launched?Robert Diaz2015-07-01T15:02:45-04:00By this point you will have access to all of the logins, video training and analytics you need to run and manage your site. Based on your needs, we can and will provide additional maintenance, marketing services and consulting, which will help ensure you get the best out of your new site experience Xtreme Growth. You can learn more about this and other steps we follow on our “7 Phases of Web Design” article. How fast is my site going to be? How fast is my site going to be?Robert Diaz2015-07-01T15:02:45-04:00According to an Aberdeen Group study, just a 1-second page load delay can cause a: • 7% decrease in your conversion rate • 16% decrease in visitor satisfaction • 11% fewer page views • Potential drop in search engine rankings At Xtreme Websites we take speed very seriously, we optimize every single aspect of your website for speed. From the size of each picture, the number of php requests, the number of design elements, database configuration, etc. Every task needed to allow the highest speed, we do it for our clients.Learn what it will take to start getting results online by filling our Project Review Form. How secure is my site going to be? How secure is my site going to be?Robert Diaz2015-07-01T15:02:45-04:00Web malware has evolved over the last couple years. It is now a multi-million dollar industry with new malicious code emerging every day. A site owner nowadays not only has to worry about managing the site but also: • SQL injections • Comment spam • Excessive bot crawling • Email/Content Scraping • DDoS attacks At Xtreme Websites we take security very seriously, we optimize every single aspect of your website for security. From website firewall, database configuration, disaster recovery, and more. Every task needed to minimize and prevent you falling victim of hacker attacks and malware, we do it for our clients.Learn what it will take to start getting results online by filling our Project Review Form. Do you offer financing?Robert Diaz2015-07-01T15:02:46-04:00Yes, on all website projects we offer at least 3 ways of payment plans, among these options are in-house financing and outside financing. Whether you have good or bad credit we have financing solutions to help you obtain the website you need while keeping cash flow liquidity in your business.Learn what it will take to start getting results online by filling our Project Review Form. How do I keep track of the work being done on my site? How do I keep track of the work being done on my site?Robert Diaz2015-07-01T15:02:46-04:00A website project can and will get messy if is not properly tracked using a Project Manager System. We use a state of the art Online Project Manager System for our staff and clients. Once logged in you will be able to check the daily progress of your project, send related files to your project manager, view important files/design concepts and much more. Do I get a dedicated Project Manager?Robert Diaz2017-12-27T18:21:03-04:00Yes, having a single person as your point of contact is essential for the project success. Your project manager will oversee all milestones and tasks required to complete your project in time and on budget. Since he/she will get to know your business processes and future needs, he will be able to guide you and help you answer your question during and after the website is launched. Can you redesign my existing website?Robert Diaz2015-07-01T15:02:46-04:00Yes, we can redesign any part of your website. Since we cannot put our quality signature in other person/company’s work and most likely the technology used is outdated, we will have to start from scratch using the latest technologies and design trends.We can also utilize part or the entire content of your old site to expedite the new project.Learn what it will take to start getting results online by filling our Project Review Form. How much does a custom website cost?Robert Diaz2015-08-01T15:39:36-04:00It is hard to put a price on something that is as unique as a website. Just like there are many type of cars (entry level, sport, 4×4, luxury, etc.) the price really will depend on your specific needs and wants. We specialize on Results-Driven websites; which unlike most websites yields tangible and quantifiable results to the business owner, thus making it an investment, not an expense.We can provide solutions for mostly every budget. We created an entire article to answer this question. Read more here >Learn what it will take to start getting results online by filling our Project Review Form. How long does a website take to complete? How long does a website take to complete?Robert Diaz2015-07-01T15:02:46-04:00This can vary greatly depending on the size and complexity of your site, most of the simple sites are completed within 3 to 4 weeks, however websites with more complex and custom functionalities can take up to 12 weeks.Learn what it will take to start getting results online by filling our Project Review Form. Do you provide the content or will I have to write all of it? Do you provide the content or will I have to write all of it?Robert Diaz2015-07-01T15:02:46-04:00Having the right content is essential to the success of your site. Unfortunately many people see content as an afterthought and this is the #1 cause of project delays. To prevent this, all of our website projects include professional copywriting so you don’t have to worry about writing all the content.You will receive an initial questionnaire and we’ll use that as the foundation for the content; once we are finished with it we will send it to you for review and approval.If however you’ve already taken the time to write all or most of the content yourself, you can certainly provide that to us. This will help you save money and expedite the process. Will my site be optimized for mobile & tablets? Will my site be optimized for mobile & tablets?Robert Diaz2015-07-01T15:02:46-04:00Yes, every website we build is responsive, meaning it will automatically adjust to the screen it is viewed from. Whether it is a phone, small/large tablet, or desktop you can rest assured that the visitor will have the best user experience with your online brand. It is also good to know that you don’t have to pay extra for this, this is standard for all our website clients.Learn what it will take to start getting results online by filling our Project Review Form. Can use my own domain? Can use my own domain?Robert Diaz2017-12-27T18:36:03-04:00Yes, during the ordering process you will be prompted to select the domain you want to use, we can use an existing domain or you can register a new domain with us. How will I provide the website design instructions? How will I provide the website design instructions?Robert Diaz2017-12-27T18:48:06-04:00After your order we will schedule a Discovery Meeting with your Account Specialist. You will be asked a serious of questions regarding your business, its operations, services and audience. The answers provided during this interview plus any additional resources (text/pics/videos) you provide will be used for the content of your site. Also, if you already own an “old” website, content can be selected to transfer.The content produced will be done by a professional copywriter to ensure it connects with your audience and also easy for the Search Engines to pick up on. Please note that this meeting is required and our team cannot start work on your website unless this is completed. How long will it take for the website to go live? How long will it take for the website to go live?Robert Diaz2017-12-27T18:36:04-04:00After you complete your initial Discovery Meeting, you should receive a preview of your new site within 2 weeks. Upon review, you can inform us of any changes you need done. Usually these changes are completed within 3 days and the website can go live the next day. A total of 2 to 3 weeks with your cooperation. Will my web design use a template or is it custom? Do I have to provide the content? Do I have to provide the content?Robert Diaz2017-12-27T18:36:06-04:00If you already have existing content (text and/or images) you’d like to use, whether you have it on a separate file or whether it is on your existing website, we can use part or all of this for your new website.If you do not have any content ready, we will ask you a series of questions about your business so our content writer can produce professional content based on your answers and resources provided. We can also use royalty-free stock images in case you don't have enough images for the project. Can I expand the size of my website? Can I expand the size of my website?Robert Diaz2018-05-18T19:22:02-04:00Yes, you can add additional pages at any time by paying $299 per page for Design & Setup. Up to 2 expansion pages on the Standard package and up to 5 on the Premium package.Please note that custom functionality and custom modules are not included. Consult your project manager to guide you in the best direction. Can I edit the content of my website? Can I edit the content of my website?Robert Diaz2017-12-27T18:36:07-04:00Yes, you can edit the content of your website (text and images) using our Online Content Management System. You will be provided with a username and password which you can use to access it 24/7 from anywhere. Our CMS is very user friendly and intuitive, however you will also have access to video tutorials. Why are Turnkey Websites so cheap compared to your Result-Driven Websites? Will my website show up on Search Engines like Google? Will my website show up on Search Engines like Google?Robert Diaz2017-12-27T18:36:08-04:00Yes, your website includes Search Engine Optimization (SEO) which will allow search engines to show your website when people search for your business name. Moreover by having you business listings on High Traffic Online Directories, you become more prominent on search results, which helps drive more traffic.It is important to note that depending on your competition, you may or may not show up if people search for specific keywords related to your business. In order rank high on specific keywords you will need Pay Per Click (PPC) marketing and/or other Online Marketing strategies offered by Xtreme. Contact us to learn more. Is there a monthly fee?Robert Diaz2018-10-01T19:03:00-04:00In order to allow business startups to get a professional online presence and keep the cost down, we decided to provide an All-Inclusive Solution called Turnkey Websites.The All-Inclusive monthly fee gives you access to the Content Management System (CMS), Website Hosting, Website Analytics, Website Firewall, Speed Optimization, Ongoing Support, Automatic Backups, Hassle-Free Updates and more. If you were to purchase all of these features for your website it would easily cost you over $400/mo., however your All-Inclusive Warranty starts at only $159/mo. depending on the package chosen. Where is the small text? Where is the small text?Robert Diaz2017-12-27T18:36:09-04:00We don’t believe on small text, we strive to provide as much value in the most transparent manner. We do however have simple Terms & Conditions which apply to Turnkey Websites. You can read them here. Which networks will I be listed on? Do you have plans for Multi-Location businesses? 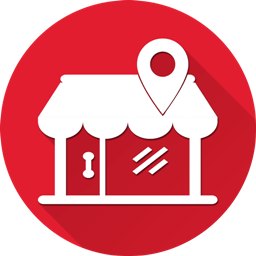 Do you have plans for Multi-Location businesses?Robert Diaz2016-11-09T11:37:32-04:00Yes, if you are a franchise or have multiple locations, our Online Reputation Suite can handle up to 2000 locations. Each location needs its own subscription as each location will benefit from all of the services in the Premium plan and you will be able to look at location-specific analytics.The more locations you have, the cheaper your subscription is (up to 70% discount). You should complete the order for your main location and under “Additional Information” during checkout, let us know how many more locations you need the service on.We will contact you to determine the level of subscription you need for each location and let you know the discount amount accordingly. Will I be able to make changes to my business listing? Will I be able to make changes to my business listing?Robert Diaz2017-11-13T17:19:26-04:00Of course! You will have access to your Master Business Profile, which you will use to keep your business information up to date anytime. 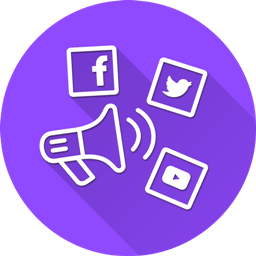 No need to make changes on each platform, as any change you make on your master profile will automatically be syndicated across all directories, review sites, GPS systems and more saving you time and money. Do I get a dedicated Project Manager?Robert Diaz2017-12-27T17:04:19-04:00You will be assigned a project manager who will oversee the completion of each service in your package. Since he/she will get to know your business, he/she will be able to guide you and help you answer your questions during and after the Online Reputation Suite is deployed. What if I already have one of the services in the package with Xtreme? What if I already have one of the services in the package with Xtreme?Robert Diaz2017-12-27T17:03:08-04:00If you have a service already included in one of the Online Reputation Suite packages, this service will be replaced and integrated with your new LMS package. What if I already have one of your services with another provider? 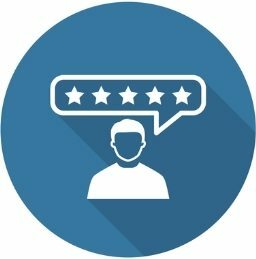 What if I already have one of your services with another provider?Robert Diaz2017-12-27T17:03:28-04:00One of the benefits of our Online Reputation Suite is that you can consolidate related services that are isolated; saving you the hassle of managing and paying for different providers. Can I change my level of service later? Can I change my level of service later?Robert Diaz2017-12-27T19:08:50-04:00Yes, you can upgrade your package any time as long as you pay the difference. You can also downgrade at any time however hard to do once you get used to all of the benefits you get ;). Both actions require a 30 day notice. Is there a contract involved?Robert Diaz2018-11-01T16:10:33-04:00Yes, the normal cost of all services if purchased individually would be $800/mo+, however the Online Reputation Suite is an all-inclusive program jammed packed with premium services at a fraction of the cost. This is why there is a minimum commitment of 12 months, agreement can be accessed here. Can’t I claim business listings myself? Can’t I claim business listings myself?Robert Diaz2017-12-27T16:39:44-04:00There are some networks where you can claim/create the listing yourself, while others such as 411 and GPS devices do not offer public access to submit data. Some of them are free and some of them are paid. Doing this yourself will require you to verify information directly with the publisher which often require many steps.You will also have to manage over 50 usernames and passwords. More importantly all of the listings will not be controlled from one place. If you need to make a change on your listing, you will have to do it on all 50 individually. Our value is time savings, control of data and system automation. Will I have to verify my listing with all networks? Will I have to verify my listing with all networks?Robert Diaz2017-12-27T16:48:03-04:00One of the main benefits of our platform is that you don't have to create/maintain account credentials for all of the 50+ networks, since you have access to all of them with a single Master Business Account. However there are only 3 network providers (the most important ones) which require you to verify you business.They usually want to verify your address and phone so after we create these accounts for you, you will receive a postcard with a PIN for address verification and a text message for phone verification. Once this one-time verification is done, all 3 providers will be linked to your platform. How long will it take for my listings to appear? How long will it take for my listings to appear?Robert Diaz2017-12-27T16:50:15-04:00The syndication process takes 1 to 2 weeks depending on the Networks. Some networks are faster than others, however 80%+ of network listings appear in less than 1 week.You will receive access to your Online Reputation Suite platform where you will be able to track the status of all network providers in real time. What happens next?Robert Diaz2015-07-01T15:23:08-04:00Just select the package you need, you will see a place where you will be asked to provide us with the design instructions before you checkout. A project manager will review your creative brief and contact you with any questions or clarification.We’ll assign the project to our designers, and your concepts will be ready in just 3-5 business days. Can I choose more than 1 Final Design? Can I choose more than 1 Final Design?Robert Diaz2015-07-01T15:22:35-04:00This is a common question we get, since our clients fall in love with more than 1 design concept. Unfortunately all of our packages allow for 1 final design, this is because the final design has to be produced in many different formats, plus your logo should be unique and ideally it should not change.However if you still want a separate version of your logo, simple let us know so we can accommodate this at a lower cost than purchasing the package again. How does your satisfaction guarantee work?Robert Diaz2015-07-01T15:21:52-04:00It’s simple. We guarantee you’ll love your logo, or we’ll make it right. If you’re still not happy, we’ll give you a refund. In what formats will I receive my files?Robert Diaz2015-07-01T15:21:06-04:00We want you to be able to actually use your designs online and offline, so we’ll give you your design files in everything you need, plus more. Who owns the copyright for my final design?Robert Diaz2015-07-01T15:20:24-04:00You do. Simple as that. When will I receive my first concepts?Robert Diaz2017-03-13T10:43:09-04:00Basic Package orders are delivered within 3-5 business days and other packages are delivered within 5-7 business days. Business days are Monday -Friday. Our design team is not available over the weekend or over any major holidays.Revisions and finals generally take 2 business days however they can be delivered in 1-3 business days depending on the revision being requested. Some revisions are less time consuming then others. Do I get a dedicated project manager?Robert Diaz2015-07-01T15:19:16-04:00Yes.  All of our design projects here at Xtreme Websites include a dedicated project manger, a real-live human based in the US who is your single point of contact for any question, big or small. Can you redesign my existing logo?Robert Diaz2015-07-01T15:18:41-04:00 Yes, we can redesign any part of your logo. However we cannot put our quality signature in other person/company’s work, therefore we will have to start from scratch but we can use as much detail or ideas from your existing logo. Why multiple designers?Robert Diaz2015-07-01T15:06:33-04:00Each designer submits two logo concepts. We purposely make sure to include multiple designers on each project, because each designer has his/her own style, and we want to make sure you get a wide variety in your upfront designs.Our designers have an average of 8+ years experience in logo and branding design, and they truly are experts. How do revisions work?Robert Diaz2015-07-01T15:05:16-04:00We’ll start by giving you multiple design concepts based on your initial design instructions; at that point you can approve one of the designs or request further changes.Usually our clients ask us to tweak colors, fonts or position. Sometimes, they even ask us to combine part of one concept to the one they like the most.All packages have unlimited changes; however the Basic Package has 2 revision sets. Example: you can have 2 changes requested in the 1st revision and 5 changes requested on the 2nd revision. What are concepts?Robert Diaz2015-07-01T15:04:40-04:00Concepts are the first step in the design process. We’ll take your creative brief and come up with concepts, or an initial direction for your logo.Once your concepts are ready, we’ll ask you to give us feedback so we can continue to refine the design. Just remember – if you choose a package with more concepts, that means you’ll get more upfront variety. Which logo package should I choose?Robert Diaz2015-07-01T15:04:06-04:00We recommend the Xtreme Package as this is by far our most popular package since you have a variety of concepts to choose from.If you already have a pretty well-formed vision of your logo, then go with the Basic Package.If you need a unique mascot design for your institution or company, then you need to choose the Mascot Design Package as the hand-drawing process takes longer. What file format will I get my video? What file format will I get my video?Robert Diaz2015-08-07T15:33:00-04:00Upon final approval, we will send you the final video file in an .mp4 format which is universally used for any occasion online and offline. How long does it usually take to finish a promo video? How long does it usually take to finish a promo video?Robert Diaz2015-08-01T15:31:41-04:00Promo Videos usually take between 1 to 3 weeks depending on the length of the video (30,60,90 seconds), type of video (animation vs. motion graphics) and the amount of revisions required. How does the voiceover for my video work? All promo videos come with a professional voiceover or narration included (unless you ask us not to include it). You will have the option of choosing a male or female voice and the type of voice needed (normal, excited, slow, fast, etc.). If you don’t have a script, we can make one for you based on a set of questions we will ask you. Where will the video be hosted?Robert Diaz2015-10-19T18:24:38-04:00The package provides you with the original .mp4 file so you can upload this video to any free Online Video Platform like YouTube or Vimeo, however (if requested) we can upload it to our YouTube Channel and provide you with a link and embed code so you can start using it immediately. The video title, description, and keywords will be optimized using the best SEO practices so your video is easily found online. This addon has a one time cost of $50. Who owns the rights to the video?Robert Diaz2015-07-01T15:36:46-04:00You paid for it, you own it. You can use it for any marketing purpose and platform like online, tv, radio and more. Do I have to provide the media? Do I have to provide the media?Robert Diaz2015-07-01T15:36:07-04:00Adding your own pictures is always the best idea, however we can also add some related royalty free pictures if you need it. How many revisions do I get?Robert Diaz2015-10-19T19:32:37-04:00You can request unlimited # of changes, however each package has a certain number of Revision Cycles. In average, 90%+ of our clients complete their desired result within the revision cycles provided, however if you need more, every extra revision cycle costs an additional $50. Do you provide the content?Robert Diaz2015-07-01T15:29:44-04:00We don’t provide the content for your stationery, we ALWAYS need your design instructions to start designing, the more accurate these instructions are the better and faster you will get your final design.At the time of ordering you will be able to upload your instructions and related images if you have it, otherwise we will use complementing stock images.If you are working with a project consultant at our office he/she will guide you to produce more accurate design instructions for our designers. Who owns the copyright for my final design?Robert Diaz2015-07-01T15:29:10-04:00You do, simple as that. Do I get a dedicated project manager?Robert Diaz2015-07-01T15:28:32-04:00Yes. 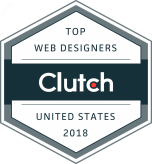 All of our design projects here at Xtreme Websites include a dedicated project manger, a real-live human based in the US who is your single point of contact for any question, big or small. What are design concepts?Robert Diaz2015-07-01T15:27:59-04:00Concepts are the first step in the design process. We’ll take your creative brief and come up with an initial concept reflecting your design instructions.Once your initial concept is ready, we’ll ask you to give us feedback so we can continue to refine the design. Which Stationery piece is the most important? Which Stationery piece is the most important?Robert Diaz2015-07-01T15:27:26-04:00If you are just starting, the stationery piece you can’t go without are business cards, we recommend always including a professional logo and ordering plenty so they last a long while.If you are establishing your brand, especially if you have a physical location, we recommend the Stationery Package as it covers the most popular stationery pieces at a lower price. Can Xtreme Websites print my Stationery also? Can Xtreme Websites print my Stationery also?Robert Diaz2015-07-01T15:26:52-04:00You bet! – When placing the order, you will have the option to choose under “Printing Options” how many you need printed. We use high quality paper, offer great rates, guarantee our work and the whole experience is quick and hassle free.